5-hour ENERGY® shots are dietary supplements that provide hours of energy and alertness. They contain a blend of B-vitamins, amino acids, and essential nutrients. They help people feel alert and energized for hours. They contain zero sugar, zero carbs, zero herbal stimulants…and only 4 calories! The amount of caffeine in a 5-hour ENERGY® shot is comparable to a cup of the leading premium coffee. People may consume up to 2 bottles of 5-hour ENERGY®, spaced several hours apart. For moderate energy needs, simply drink half a bottle of 5-hour ENERGY®. One quick note to keep in mind: 5-hour ENERGY® is not an energy drink or intended to be mixed with alcohol. It is not intended for children, women who are pregnant or nursing, or people with medical conditions. It does not increase physical performance, dexterity, or endurance – and it does not treat or cure any disease or medical condition. Do not drink more than two per day, and do not drink more than one at a time. 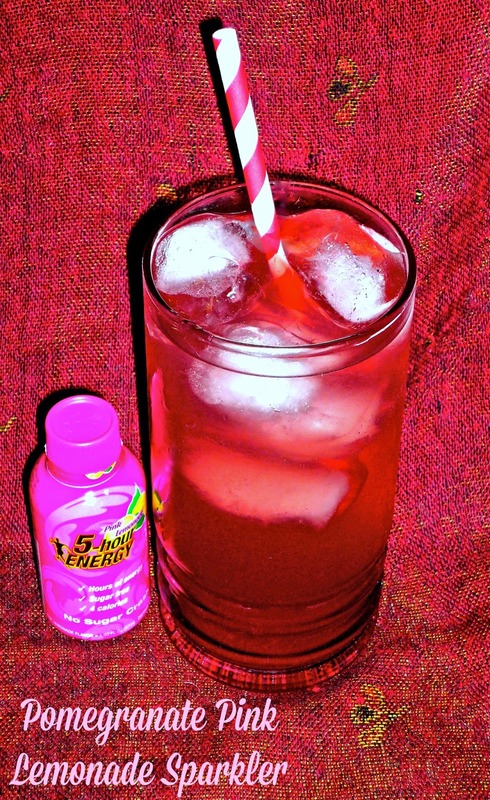 For my personalized Yummification beverage, I created a simple and fizzy beverage with only 3-ingredients, including the 5-hour ENERGY® Pink Lemonade shot. My Summer-perfect Pomegranate Pink Lemonade Sparkler is fruity and fizzy…and it gives you a boost of added energy too! Ready to see the recipe? Directions: Add all ingredients to a tall glass and add ice cubes. Add a straw and stir. That’s it! 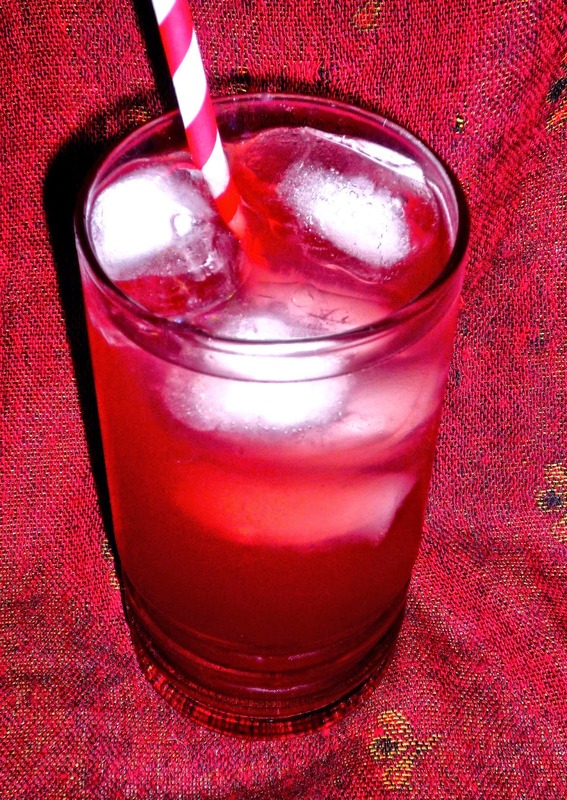 This beverage is tart and fizzy…and perfect for lemonade lovers! It's super refreshing on a hot Summer afternoon. I especially like how the addition of the sugar-free soda and juice cuts the sour taste of the straight 5-hour ENERGY®. After drinking this beverage, I had plenty of energy for a couple of hours writing, dinner preparation, and even a bit of tidying up in the kitchen. I didn’t have any bothersome rebound energy drops later in the evening either! 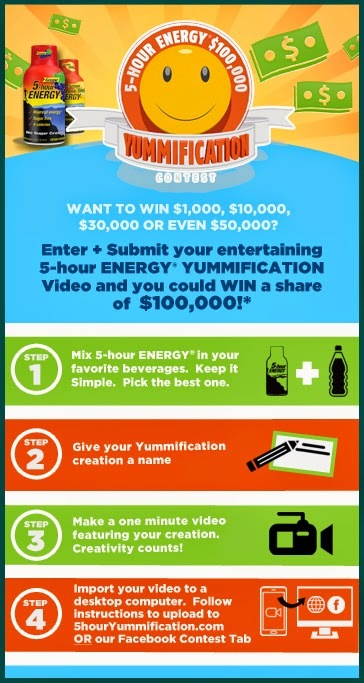 So…want to enter the 5-hour ENERGY® Yummification video contest? It's so simple! The makers of 5-hour ENERGY® are holding a video contest, and winners will win a share of $100,000 for creating a video of their favorite way to mix a 5-hour ENERGY® shot with everyday beverages. The contest will be judged on two criteria: (1) the creativity of the video and (2) the taste of the creation. Check out these prizes! All entries must be received by August 19, 2014 at 11:59 p.m. EDT to be eligible. No purchase necessary, and the contest is open to U.S. residents only (18 years and up). To enter and view the official contest rules, simply visit www.5houryummification.com and follow the instructions to complete the entry form. You can also Like 5-hour ENERGY® on Facebook and follow the instructions to click the contest tab. Make sure to follow 5-hour ENERGY® Twitter too. Disclosure: The makers of 5-hour ENERGY® provided me with a variety pack of energy shots, along with a gift card, to facilitate this article. All opinions expressed are my own.